Find a vacation home to rent in Manche from our list of vacation rental properties. Campaya has over 184 vacation homes available in Manche, which give you the possibility to locate a unique accommodation in Manche which completes your check-list in search for the perfect self catering vacation apartments in Manche or vacation villas in Manche. 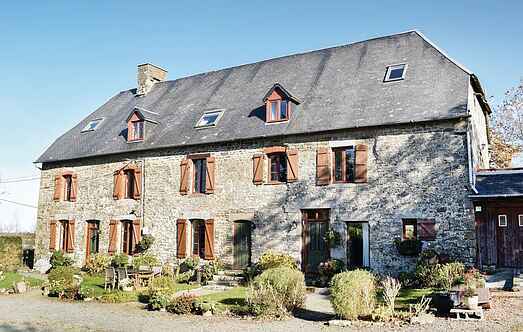 This spacious, detached holiday home lies in a small hamlet close to the historic town of Coutances. This renovated house, which has a magnificent view over the Bay of Saint Vaast, serves as an ideal starting point for excursions in the Cotentin Peninsula. This cosy house is situated just 300m from the sandy beach of Pirou. The beach is fantastic for families as it boasts a sea water reservoir, which is uncovered at low tide. For your stay in Normandy, this beautiful stone holiday house welcomes you in Saint Germain sur Ay, just 2.5km away from one of the most beautiful sandy beaches of the Channel coast. This charming and comfortably furnished holiday home is located only 50m from the main entrance to the beach in Quinéville and the Mémorial de la Liberté Retrouvée. Situated only 1. This small rustic stone cottage is situated in a beautiful garden. You can explore the nearby St. Vaast, which is known for its oysters and the fortresses of Vauban.